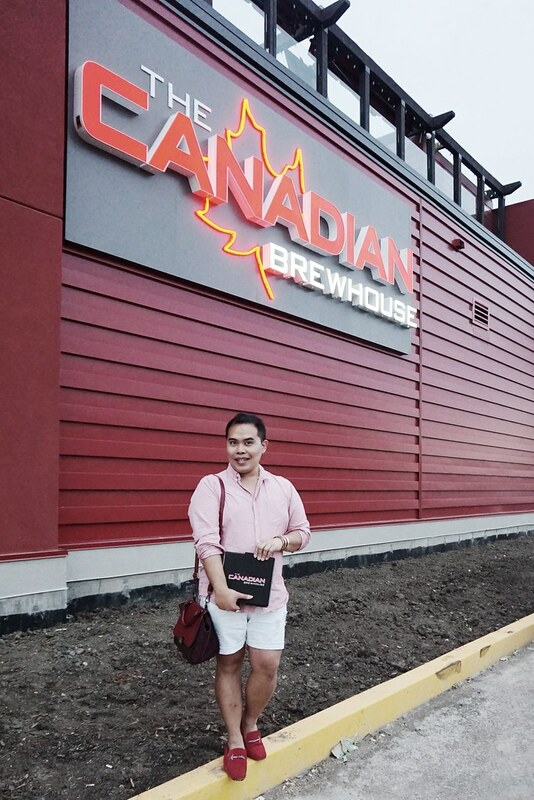 Canadian Brewhouse (Regina - EASTGATE) - NOW OPEN!!! 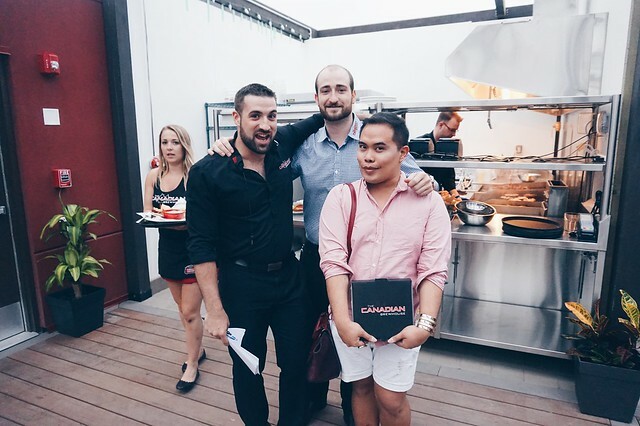 Last Saturday, I got an invite from Alexi of Canadian Brewhouse for their VIP - Food Tasting Event! It was an offer I couldn't refuse. Good food for free is not something you turn down. 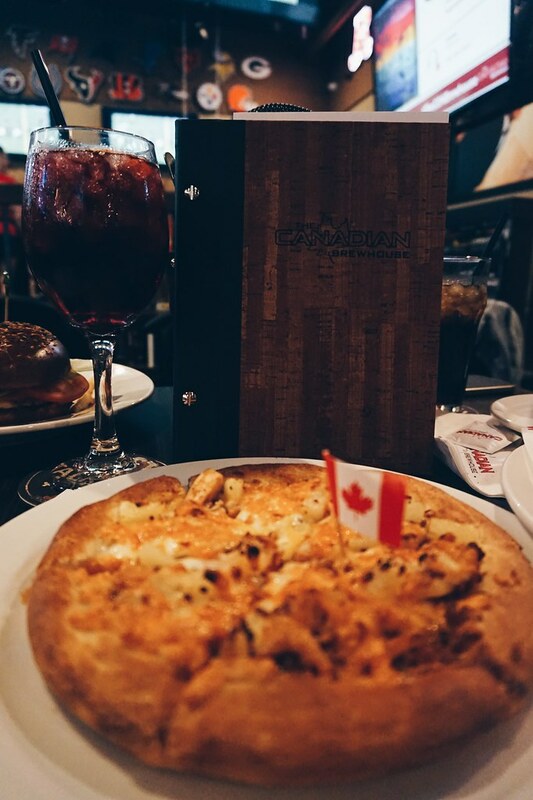 I've been to the Canadian Brewhouse - Regina Grasslands twice. 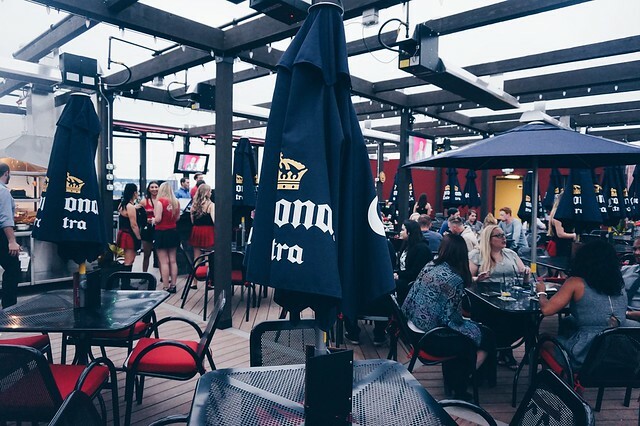 It was a go-to place for me and my friends because its conveniently located at the south end of the city. (Very close to home!) So when I learned that they're opening at the east side of the city, I was very thrilled. The east side has got to have the convenience that we "southenders" get! 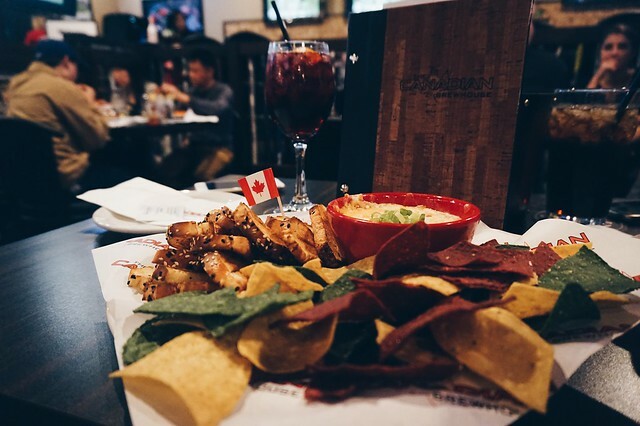 On Saskatchewan Roughrider game nights, Canadian Brewhouse is the best! 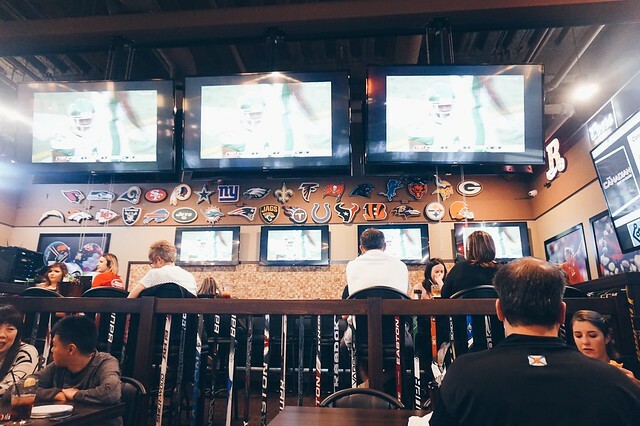 You'll never miss a single moment because they have 69 LED TV's that will keep you updated on what's happening at the field. And just in case you're enjoying your food too much, they have a loud buzzer that rings when your team scores. 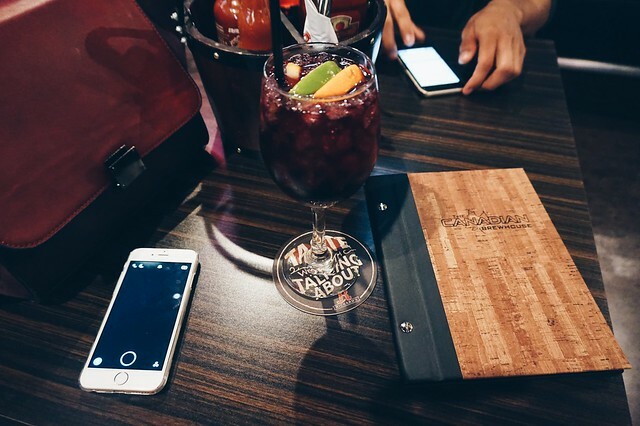 For my poison that night, I chose a Red Sangria. You can request for a milder version just in case you find the drink a little too hard. For my appetizer, I got myself a 3-Down Bacon Cheese Dip served with tri-colored tortilla chips and toasted crostini. It was described as a warm dip that blends cheeses, sour cream, special seasoning and so much bacon you can't resist. This is now my new favourite! And for the main course, I ordered Double Double Peri Peri Chicken Burger. 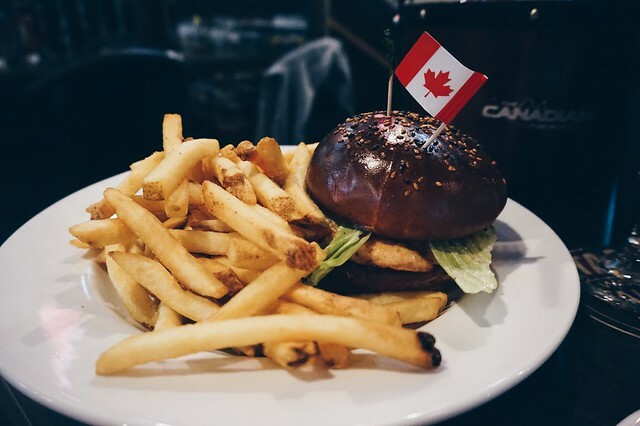 It's marinated, grilled chicken breast with spicy homemade Peri Peri sauce and topped with cheddar cheese, tomato, lettuce and mayo on a brioche bun. As soon as I've eaten half, my Asian tummy was telling me that I should just stop eating. Too much cheating on a cheat day for my diet. I couldn't help but give in though. As if the burger was not so much of a treat that I still had to dig in on an 8" Chicken Alfredo Pizza. I know some of you guys find it weird to find pineapples on your pizza but you have got to give this a try. You won't regret it! Mike Furukawa, General Manager of Canadian Brewhouse, was so kind to drop by at our table and have a little chat. He was so excited to see my feature about the restaurant on my blog! I was so engrossed that I even forgot to take a photo with him. So instead, I bothered the other management staff for a photo-op. Their patio was soooo nice! Its got this hi-tech heating system on cold spring or autumn nights. 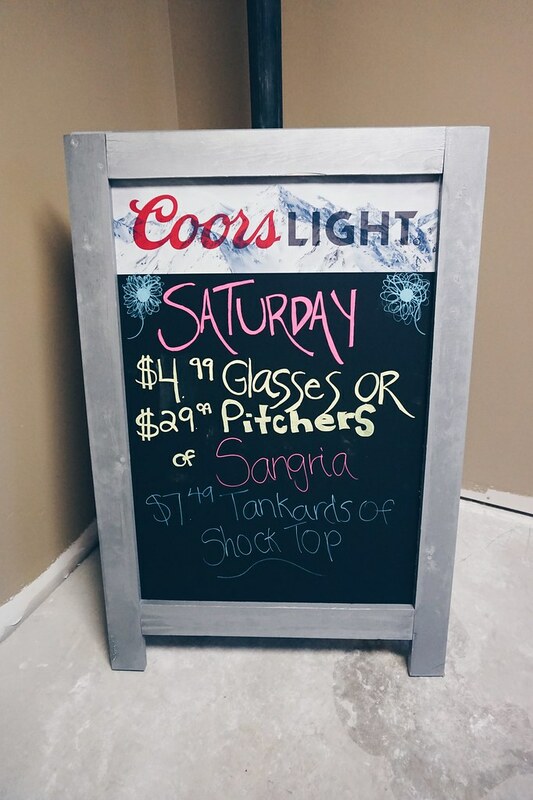 They have different promotions on a daily basis but on Saturdays, Sangrias are the best! 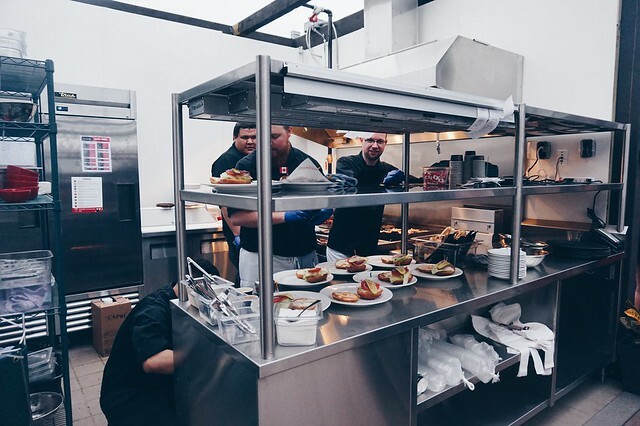 The hardworking chefs at Canadian Brewhouse making sure everyone leaves with a happy tummy! For reservations and inquiries, call (306) 522 -1613. 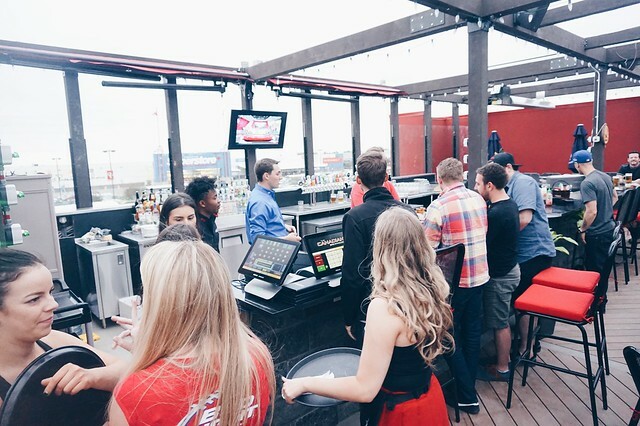 Canadian Brewhouse Regina Eastgate is conveniently located at 2005 Prince of Wales Drive, Regina, SK S4V 3A3. 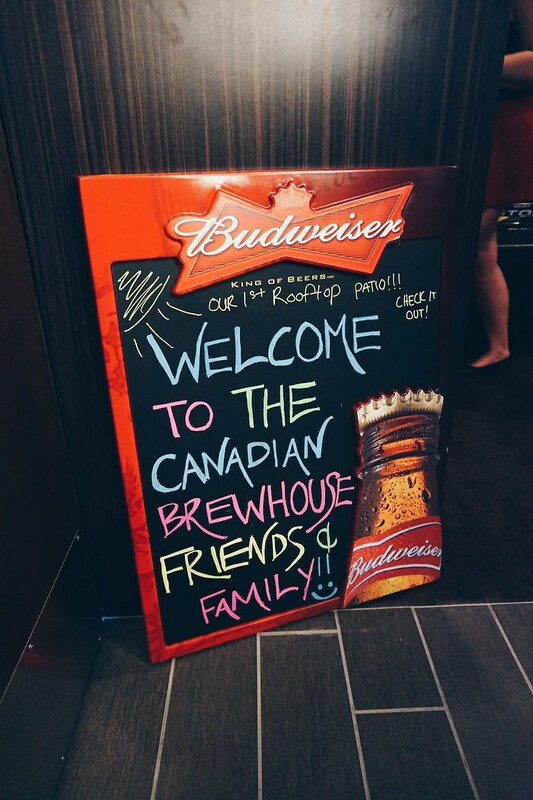 To know if there's a Canadian Brewhouse near you, click HERE! 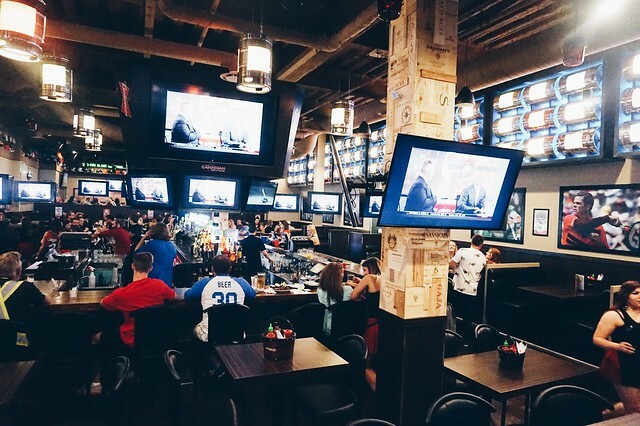 Have you had the same amazing experience at any Canadian Brewhouse? Tell me about your thoughts and let's have some chat! 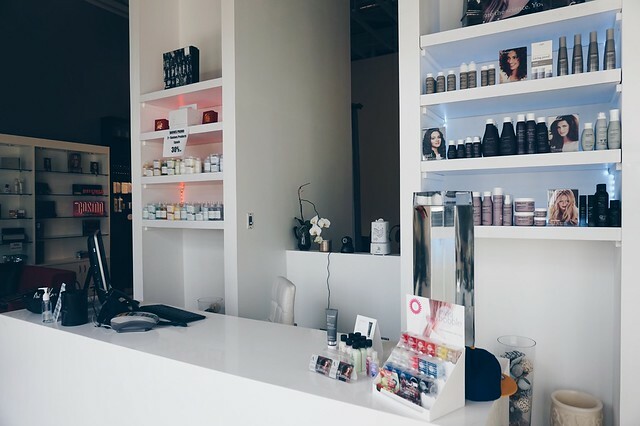 When I try out a new salon, I always consider its reputation - a recommendation from a stylish friend is a must! So when a friend of mine told me about this salon that he's been frequenting, I had to check it out myself. And man! It did not disappoint. The salon looked so "CLAZZ!" It was posh but still has that homey feel. And most of all its clean! 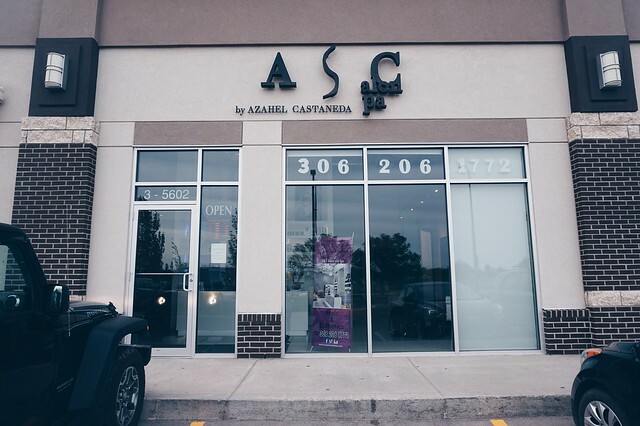 Azahel Castañeda, President and Owner of AC Salon and Spa, has very good attention to detail. His six passionate years in the beauty industry has taught him the value of quality in workmanship. I like how he's about the whole experience and his team will make sure you're comfortable and getting the service you truly deserve. Its about making the first impressions last. 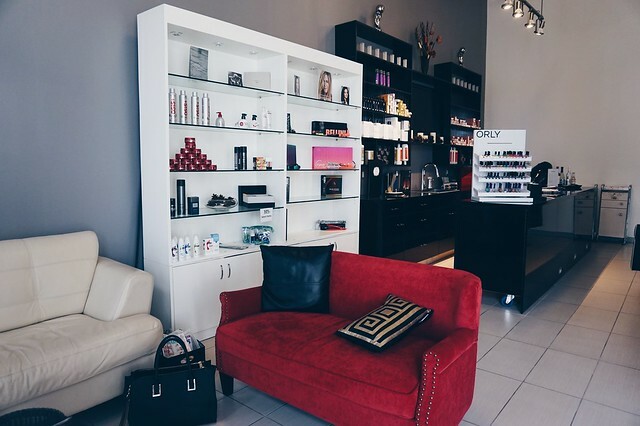 AC Salon and Spa offers hair, make-up and spa services. 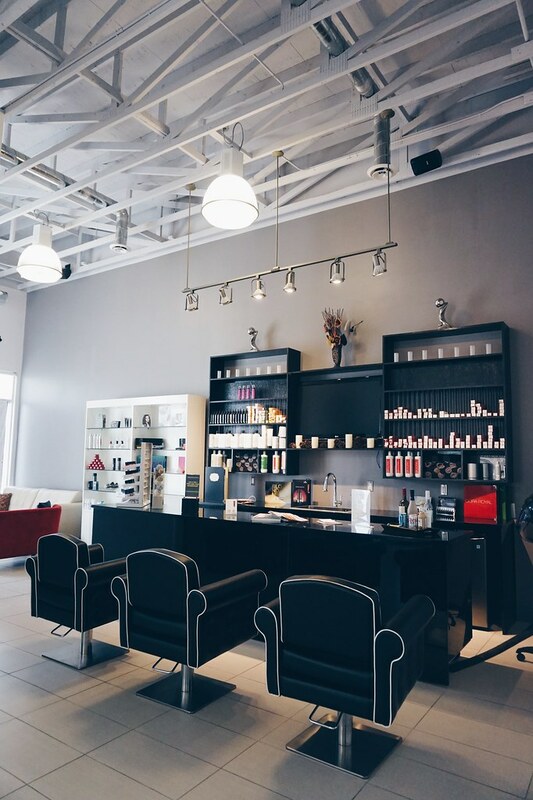 The most unique offer the salon has is the choice to have some refreshment while being pampered. Nothing beats the idea of sipping a glass of rosé while getting a Boyzillian or just a basic pedicure. Total pleasure! If you're a big beautiful-eyelash kind of babe, you can't miss this month's special deal. Have a full-set eyelash extension for only $80 + tax! For a full list of services offered, CLICK HERE! 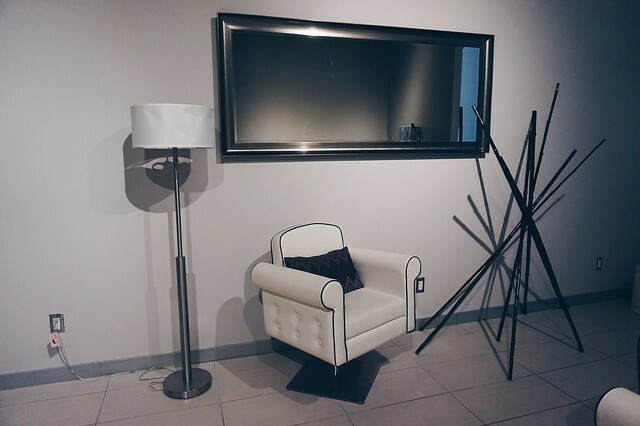 Now let's have a little tour and check out this modern-meets-chic salon in Regina. With its high ceiling, your beauty has no limits! 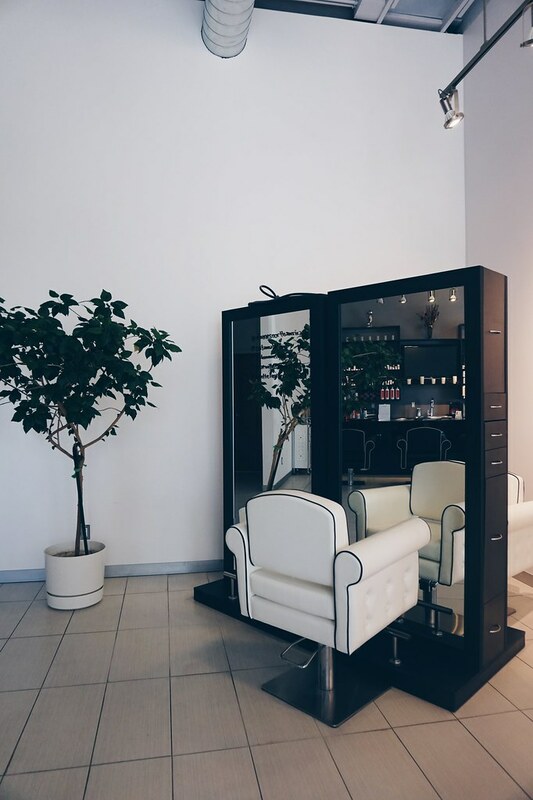 And while waiting for your turn, you can browse for some hairstyle inspirations and just chill on their fluffy couch. 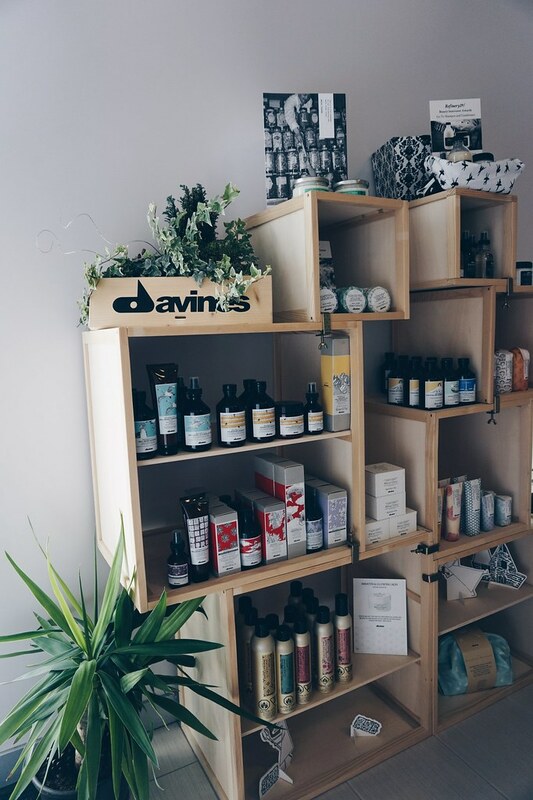 I was very happy to find the Italian high-end hair care brand, Davines, at the salon. I've used Davines Hair Refresher in the past and I can actually keep on raving about their products. 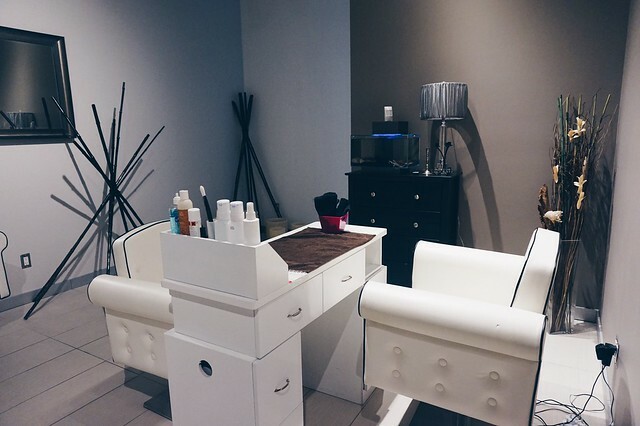 AC Salon and Spa is located at 5602 Rochdale Boulevard, Regina, Saskatchewan. For more information, visit their Facebook Page or Website. 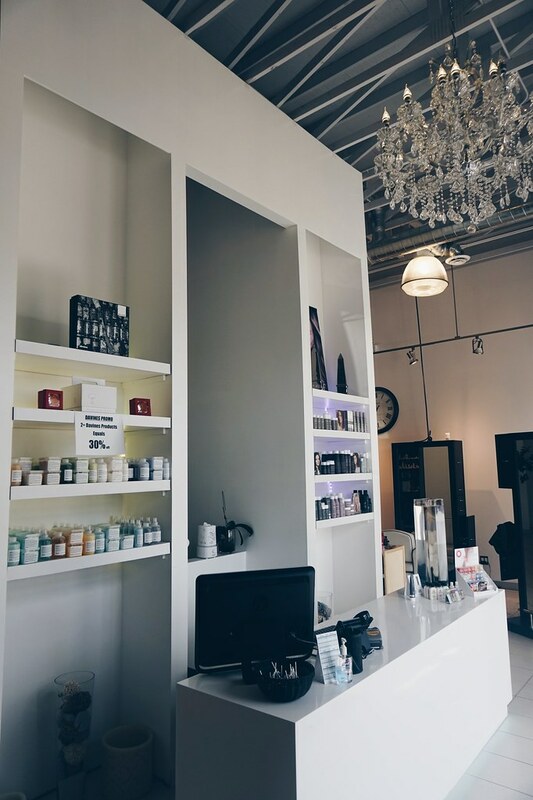 Let me know what you think about AC Salon and Spa in the comments below. And tell me, how do you like to be pampered? Spring is almost over! (How time flies!) But it's never too late to pull out something from your wardrobe that actually speaks about the season - FLORALS!!!! I'm a big floral-print fan. So when I see someone wearing big hibiscus prints on a loose shirt it makes me cringe. (Sorry, not sorry!) And then my heart skips a beat and I faint. 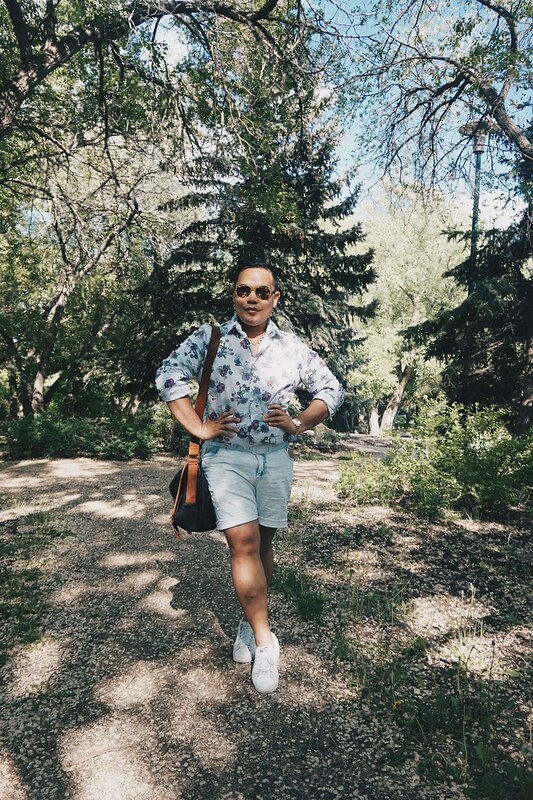 My biggest tip when wearing floral prints is to consider your personality, the fabric and the event you're going to. When its a barbecue at the park, something like this makes you a real WINNER! 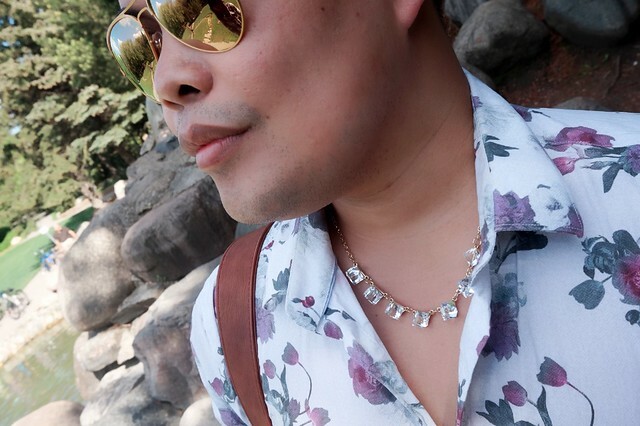 I got this floral dress shirt from the Spring/Summer 2016 Collection at RW&Co. The colours are so vibrant yet still has that element of relaxation. The material is 98% cotton and 2% spandex and that explains why it is so comfortable to wear. Spring can be so erratic at times - a little chilly when you get out of the house in the morning and gets really warm by noon. With the season's temperature, you'd still get the comfort you want with this shirt on. To get this floral dress shirt from RW&Co, [Click here]. Accessories are very important. It gives your outfit an extra "Oooomph!" I'm wearing a pair of Ray Ban sunglasses from Spareparts at the Cornwall Centre. Thankfully, its also available online. CLICK HERE for an endless array of beautiful sunglasses that goes well with almost any outfit. These diamond necklace may look like a million bucks but they're actually not that pricey. I got it from Suzy Shier. CLICK HERE to check out their online store. It's also the distressed-denim shorts day out! And this one is from Vero Moda which I got from World of Trout. To check out their newly revamped site, CLICK HERE! 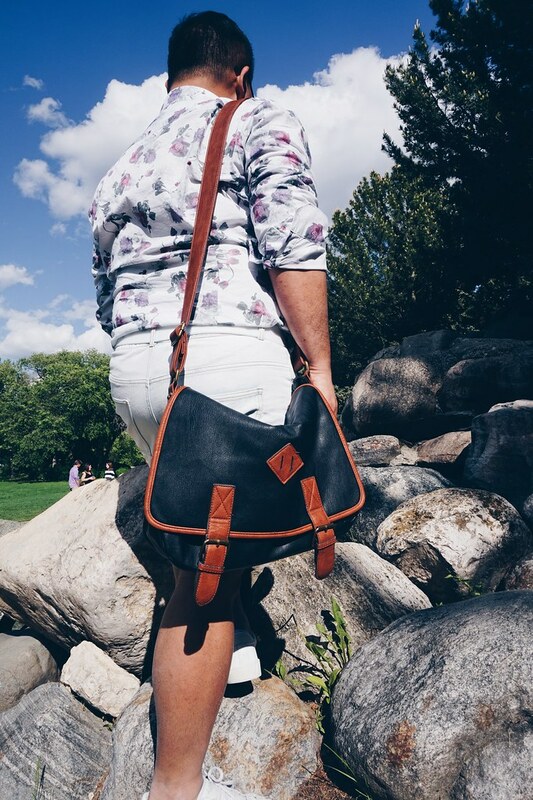 To complete the look, I used my Call It Spring messenger bag that I got almost a year ago. Call It Spring prides itself for being the ultimate destination for shoes, handbags, and accessories. To know more about Call It Spring's latest collection, CLICK HERE! On the other hand, ALDO has been my go-to store when it comes to accessories. I always find something nice at the store even on a day when I do not intend to shop. 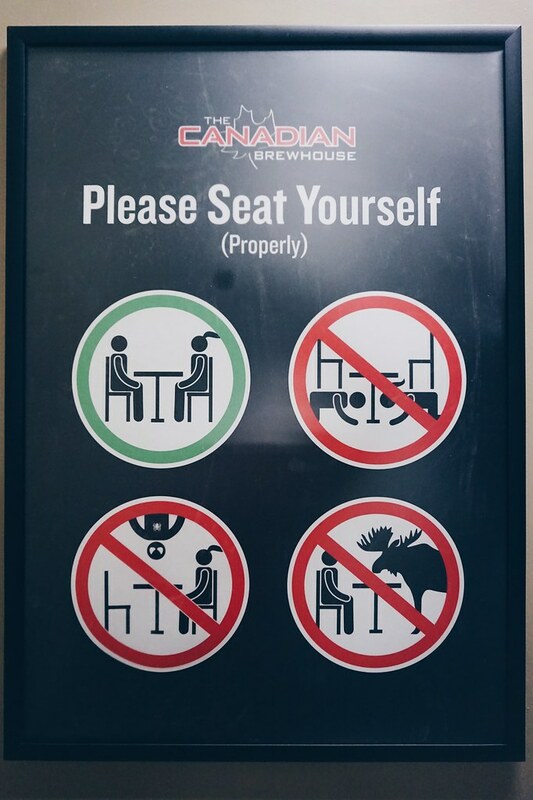 I recently found out that its very Canadian too. 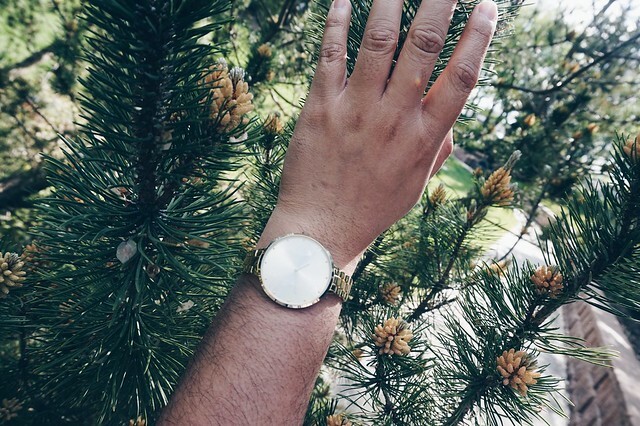 Which is why I got this gold watch from them. To see what beautiful things the store has to offer, CLICK HERE. The smell of the morning dew and grass is just so refreshing. 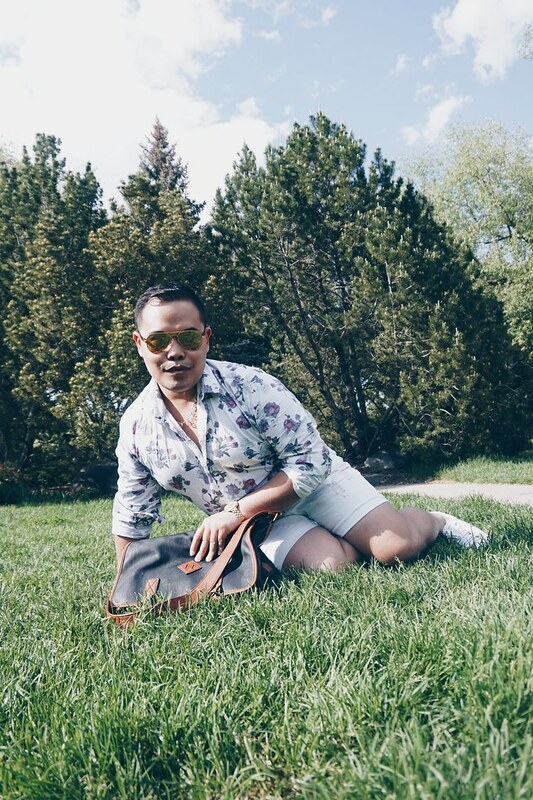 ​On a side note, I think that being gay makes me get-away with floral tops. Nobody questions my floral choices. 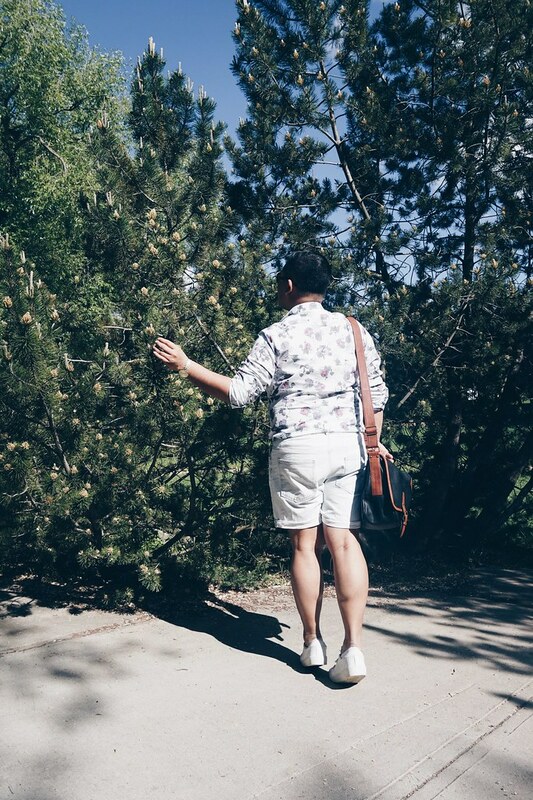 But if a straight guy wears something floral, questions about sexual preferences start to surface. ( #SadButTrue) This should actually stop because straight men should be in-touch with their feminine side too. That's just me sounding so political because June is PRIDE MONTH! Wooot! Free the men from judgements and let them all wear a beautiful floral shirt. 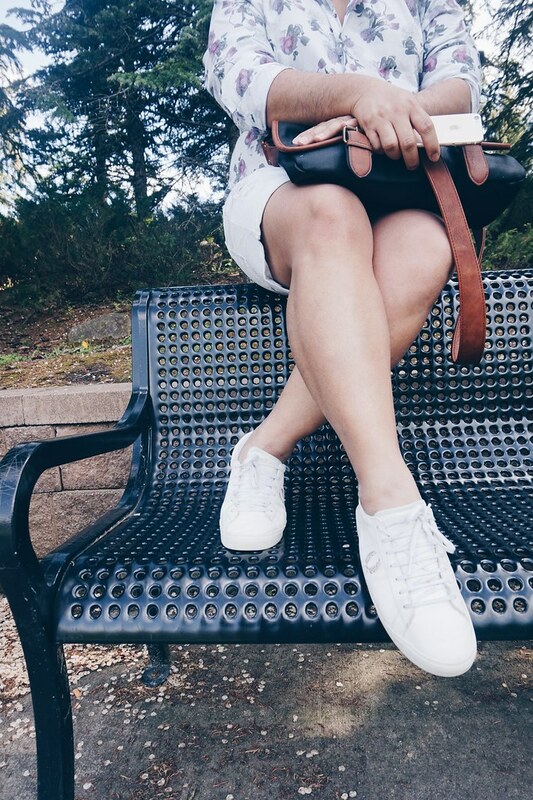 Do you wear florals too? 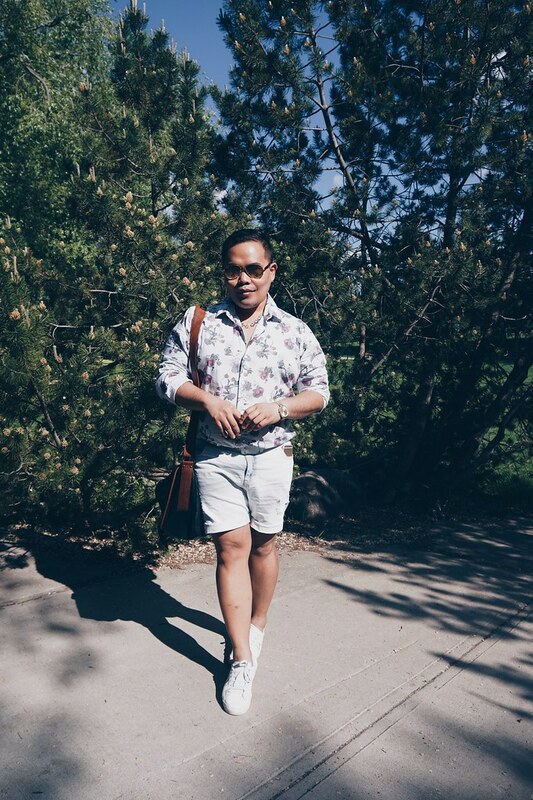 ​How do you find this floral-print look? What's your favourite outfit for spring? Let's have a chat and post your comments below.